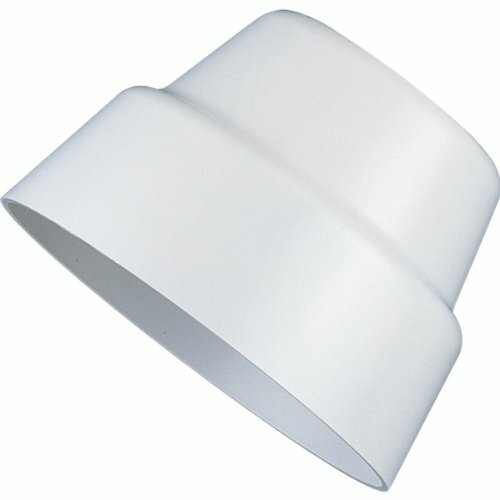 General UV stabilized non-metallic material Attaches to P5211 and P5212lampholders to conceal the PAR lamps Bronze (-20), White (-30) or Black (-31)material. 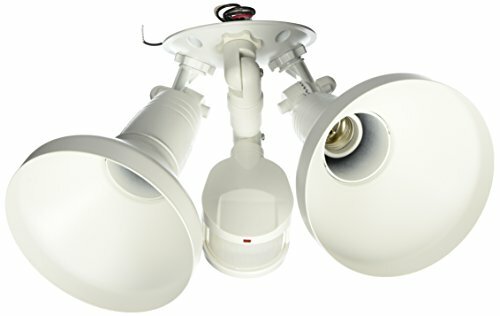 Two painted adjustable swivel floodlights. All aluminum. 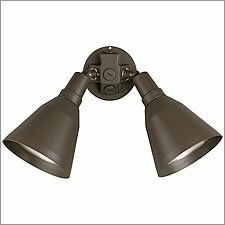 P5203-20 Finish: Bronze Features: -Twin painted, adjustable swivel floodlights. Options: -Available in White or Bronze finish. Construction: -Aluminum construction. 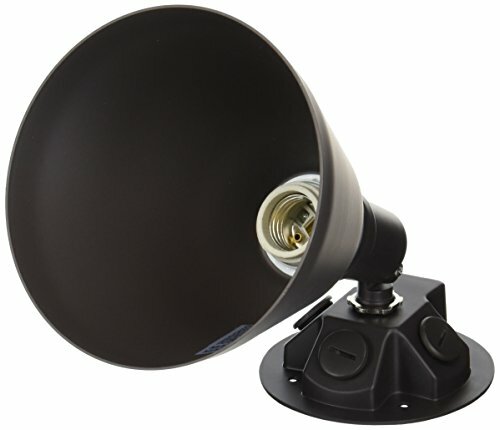 Specifications: -2 PAR 38 base bulbs X 150w max. Dimensions: -Overall Dimensions: 9''H X 6.25'' diameter. 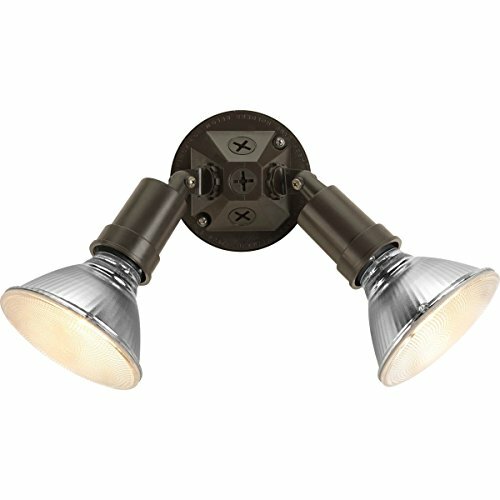 White, 180 degrees, motion activated regent security flood light, with strong die cast metal lamp holders & cover plate for extra long life, lamp covers add a decorative look & help protect bulbs from outside elements, convenient tool free lamp & sensor head adjustment, 30 motion detection zones, can be operated in 2 different modes, mode 1, light comes on only when motion is detected, mode 2, light can be operated in manual override & turned on from indoor switch, automatically resets at Dawn to motion detecting mode, detects motions up to 70' , large oversized knobs for easy setup & adjustment, adjustable time & sensitivity settings, for wall or eave mounting, center mount screw for easy installation, uses two 100W maximum par 38 incandescent bulbs not included, energy star rated. This product adds a great value. Product is highly durable and very easy to use. This product is manufactured in china. 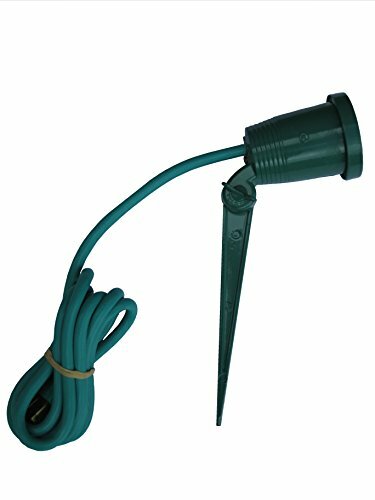 Deluxe lampholder w/ ground stake and 6 feet grounded power cord (green). Ideal for decorative lawn lighting all year round. Zinc die cast. Green powder coat finish with matching green cord. 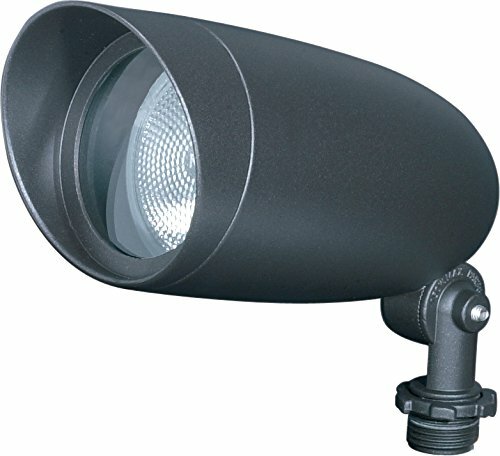 Shopping Results for "Landscape Par Lampholder"